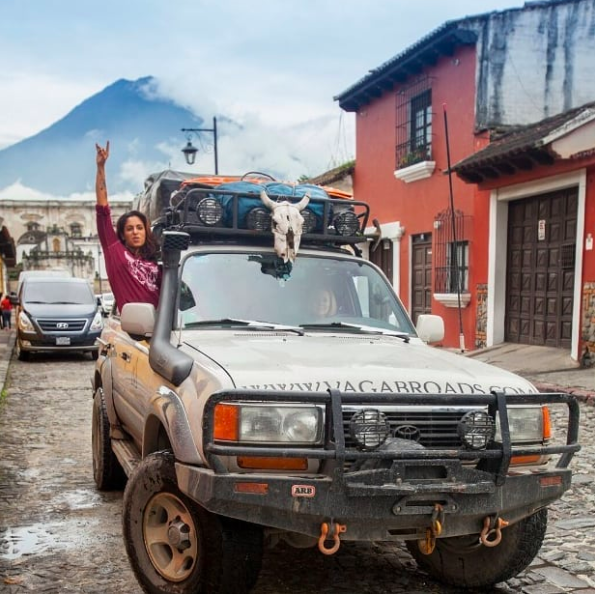 Sunny Eaton and Karin Balsley are a mid-30's couple from Nashville, Tennessee who decided to sell everything they owned to travel the world in their 80 series Landcruiser and rooftop tent. Before hitting the road, Sunny was a rising criminal defense attorney and Karin was a successful network engineer. Then an unexpected health scare jolted life into perspective, forcing them to look at each other and re-evaluate their priorities. They asked themselves questions like: If we had six months to live, how would we want to spend that time? What would we regret not doing? What were we doing on our happiest days? What would we be willing to give up to have more of those days? As a couple and as individuals, what did they really WANT? Once they figured out that freedom, travel, adventure, and spending time together was all they really wanted, the decision was easy. Sell everything (house included) to fund a two year overland trip down the PanAmerican Highway, re-branding themselves as " The Vagabroads." Sunny & Karin's story was interesting to us because they represent a road truth, anyone can do it. They may have packed more lip gloss than motor oil, but they successfully navigated two years on the road and all of the problems that came with it. They are proof that there is no formula to successfully living life on the road.